I find that I tend to do a lot more walking during the fall. The cooler temperatures allow for less overheating and more comfortable walking experience. Of course having comfortable shoes definitely plays a part. Styles like the above Kork-Ease Ramona Bootie (shown above in three colors) make the perfect walking shoe. 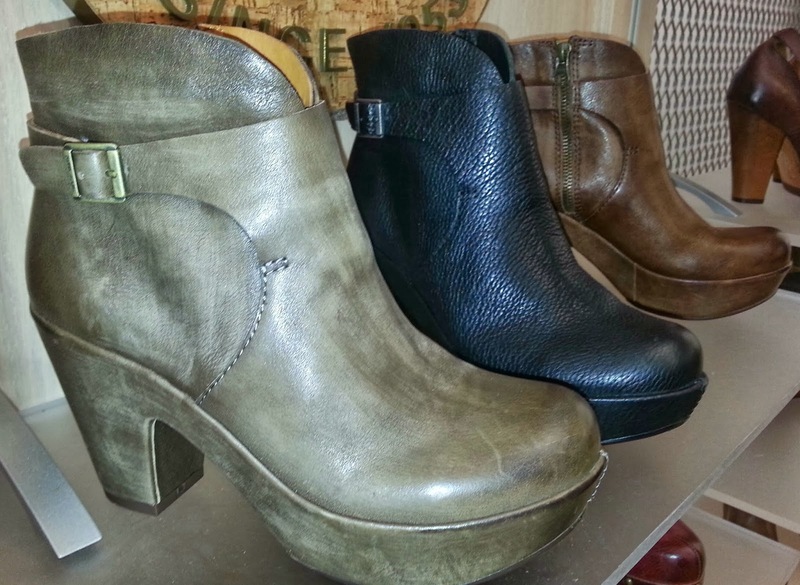 Featuring all-over full grain leather, mock harness detail with buckle on the ankle, side zipper, Kork-Ease's patented comfort and a comfortably sturdy but fashionable 3 1/2" heel. So if you're a fan of walking, these would be great to add to your wardrobe.